Top Rated Local® is pleased to announce that Ground to Overhead Physical Therapy is an award winner for physical therapists in 2019. If you are looking for a physical therapist that will help you to achieve a pain-free and active lifestyle, look no further than this award-winning company! Ground to Overhead Physical Therapy has received many overwhelmingly positive reviews across three different verified sites with an average rating of 5.00 stars, earning them an impressive Rating Score™ of 96.00 and a 2019 Top Rated Local award for ranking as one of the top 10 physical therapists in North Carolina! “Mike not only focuses on the problem at hand but the body as a whole. He understands the kinetic chain and how it relates to your injury or pain. He incorporates exercises to improve mobility and strength, and follows up your sessions with additional educational videos. I 100-percent recommend Mike for any injury or mobility issues you may have.” – S.A. It is because of excellent reviews like this that Ground to Overhead Physical Therapy is now able to call themselves a Top Rated Local award winner! We were excited to learn all about how Ground to Overhead Physical Therapy has been able to build such an impressive reputation, so we sat down with the owner, Michael Tancini. The first thing we wanted to know was what it is that makes Ground to Overhead Physical Therapy stand apart from their local competitors. We learned that the quality of care offered helps them to stand out. He says that it comes down to getting the patients the results they want in the most efficient way possible. At Ground to Overhead Physical Therapy, they help active individuals stay active and get back to the training they love without any need for pain medications, injections, or surgeries. Ground to Overhead Physical Therapy has built an impressive reputation, so we were excited to hear about some of the ways they have gotten their name out. Online, they utilize Google Adwords and social media platforms, but it is offline where this company has gotten the most recognition. Michael told us that he has gotten this business recognition by being active in the community. He has worked to build relationships with community members by visiting local gyms, running groups, and training facilities. He says that he tries to offer as much free information to these groups as he can, and focuses on helping them in any way he can. 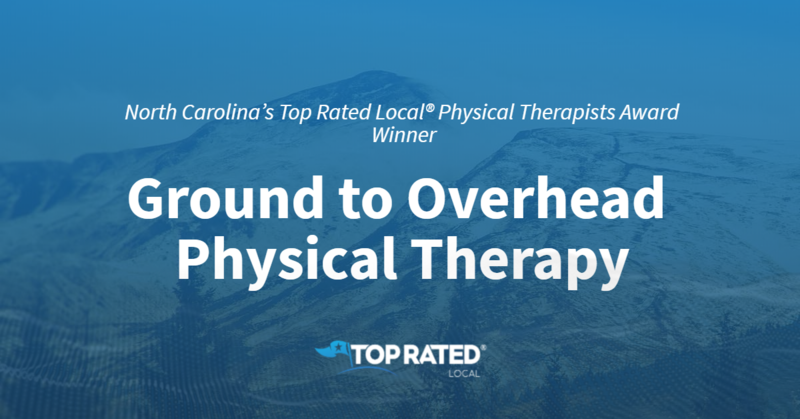 Congratulations to Ground to Overhead Physical Therapy for being a 2019 Top Rated Local award winner, and special thanks to Michael for taking the time to speak with us! 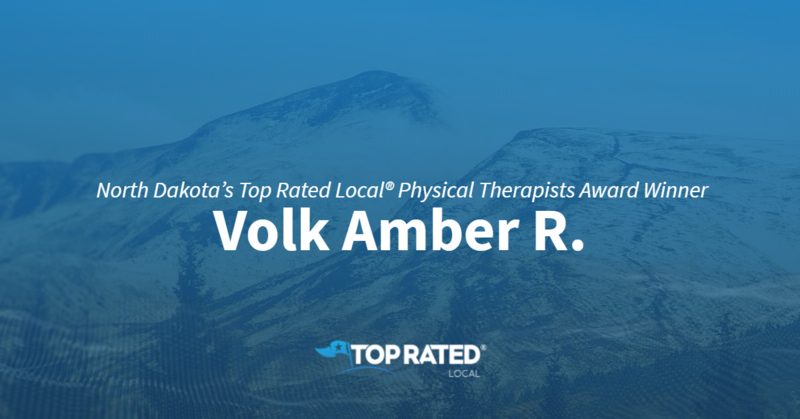 North Dakota’s Top Rated Local® Physical Therapists Award Winner: Volk Amber R.
Top Rated Local® is pleased to announce that Volk Amber R is a 2019 award winner! 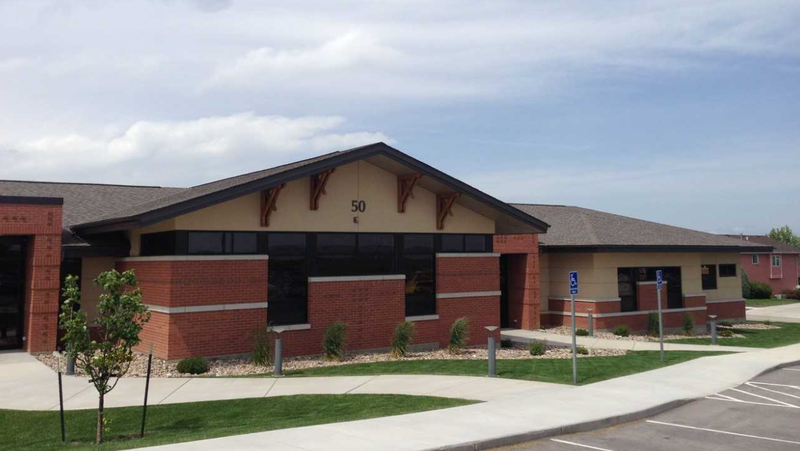 It is certainly not easy to impress your clients enough to get them to leave excellent reviews, but Volk Amber R has done so so well that they have earned a 92.00 Rating Score™, a 5.00 average star rating, and a spot among the top 10 physical therapy clinics in the entire state of North Dakota! Jean, the Area Manager of Volk Amber R, took some time to chat with our team about the business’ phenomenal online reputation. The Volk Amber R mission is actually pretty simple, according to Jean. They just want to do the very best they can for the people they serve. “Being in a smaller place, we can provide the best care possible. Just because we are small, does not mean we can not provide care; we are giving the best care possible and looking at customers as a whole,” she said. Congratulations to the team at Volk Amber R for being a 2019 Top Rated Local award winner, and thank you so much, Jean, for taking the time to speak with us! We highly recommend Volk Amber R in North Dakota. Visit their website today! Top Rated Local® is pleased to announce that Moye Physical Therapy is a 2019 award winner! “Moye Physical Therapy is absolutely fantastic. They have been a total blessing for my son. The staff are all incredible and fantastic at their jobs. My son has made more progress in just a few months here than he has in the past few years. I would totally recommend that you come here for your therapy needs.” -Lisa M.
Our team got a chance to speak with Julie Nagem, the marketing director at Moye Physical Therapy, about the business’ tremendous online reputation. 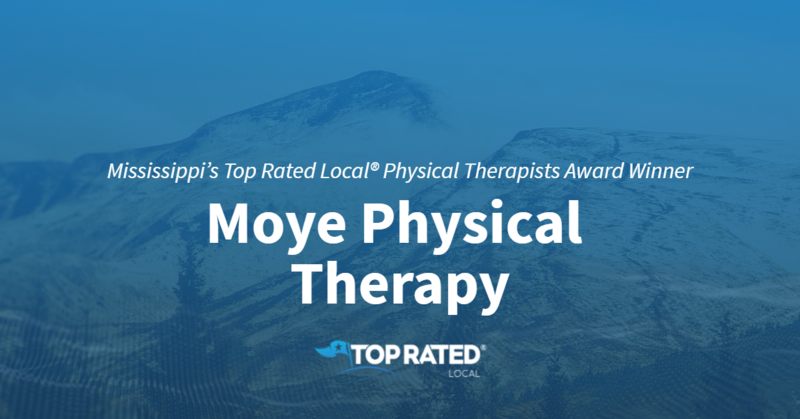 Congratulations to the team at Moye Physical Therapy for being a 2019 Top Rated Local award winner, and thank you so much, Julie, for taking the time to speak with us! Top Rated Local® is pleased to announce that Hansen Physical Therapy is an award winner for physical therapists in 2019. If you are in need of physical therapy in Rapid City, look no further than this award-winning company! Hansen Physical Therapy has received many overwhelmingly positive reviews across three different verified sites with an average rating of 5.00 stars, earning them an impressive Rating Score™ of 96.00 and a 2019 Top Rated Local award for ranking as the number one physical therapist in South Dakota! “[They have] amazing and supportive staff. [They are] always upbeat and descriptive in their therapies. [I] came in for physical therapy and [am] leaving after physical training. [I am] stronger now than when I came in to start. [I faced the possibility of] surgery, but [they] kept me out of surgery. Thank you!” -Z.R. It is because of excellent reviews like this that Hansen Physical Therapy is now able to call themselves a Top Rated Local award winner! We were excited to learn all about how Hansen Physical Therapy has been able to build such an impressive reputation, so we sat down with the Office Manager, Stephanie Enger. Hansen Physical Therapy has established an impressive online reputation, and we were curious to know about some of the ways they have marketed themselves over the years. Stephanie shared that they have utilized social media platforms like Facebook and Instagram. They are also present in their community, where they do local sponsorships for schools and sporting events. They never push their clients for reviews, but they will let them know where to leave them if they are interested. Congratulations to Hansen Physical Therapy for being a 2019 Top Rated Local award winner, and special thanks to Stephanie for taking the time to speak with us! Top Rated Local® is pleased to announce that Battle Mountain Physical Therapy is an award winner for physical therapists in 2019. For all of your physical therapy needs in Hot Springs, South Dakota, look no further than this award-winning company! Battle Mountain Physical Therapy has received many overwhelmingly positive reviews across multiple verified sites with an average rating of 5.00 stars, earning them an impressive Rating Score™ of 86.00 and a 2019 Top Rated Local award for ranking as one of the top five physical therapists in South Dakota! 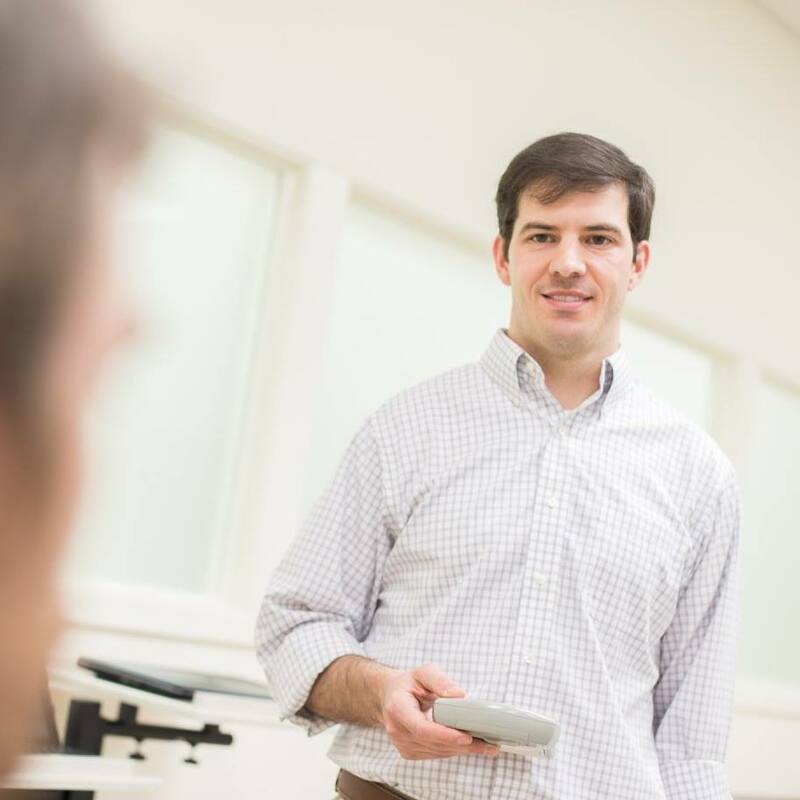 “Brad goes above and beyond for his patients. He comes in early, sends tools home to help further progress, and makes it feel more like a friendly visit then a Dr’s appointment. Truly an all around great experience” – C.N. It is because of excellent reviews like this that Battle Mountain Physical Therapy is now able to call themselves a Top Rated Local award winner! 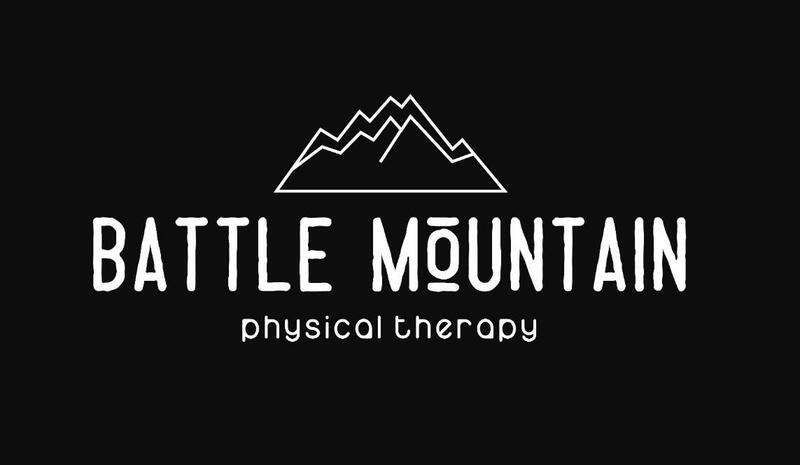 We were excited to learn all about how Battle Mountain Physical Therapy has been able to build such an impressive reputation, so we sat down with the Office Manager, Jordan. Brad is also active in helping out local high-school sports teams. Congratulations to Battle Mountain Physical Therapy for being a 2019 Top Rated Local award winner, and special thanks to Jordan for taking the time to speak with us! 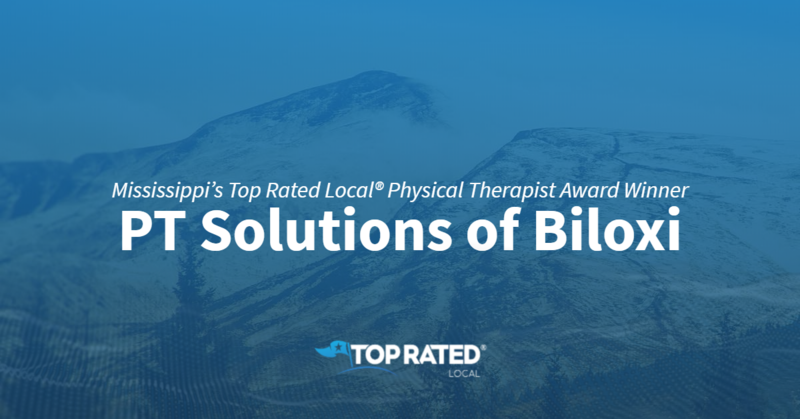 Top Rated Local® is pleased to announce that PT Solutions of Biloxi is a 2019 award winner! 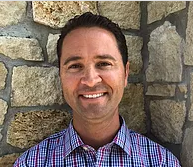 “I have been to many PT appointments in various places, but never felt the personal caring I have felt from my physical therapist Jeff Huesser. He has made the experience of therapy forever gratifying in my mind. I will go back if ever I need therapy again.” -Betty S.
Jefferey Husser of PT Solutions of Biloxi took some time to chat with our team about the business’ incredible online reputation. The following are Jeffery’s words of wisdom for other businesses that are working on improving their online reputation. Congratulations to the team at PT Solutions of Biloxi for being a 2019 Top Rated Local award winner, and thank you so much, Jefferey, for taking the time to speak with us! Top Rated Local® is pleased to announce that Family Achievement Center is an award winner for physical therapists in 2019. If you are looking for a physical therapist that will help to meet your individual needs, look no further than this award-winning company! 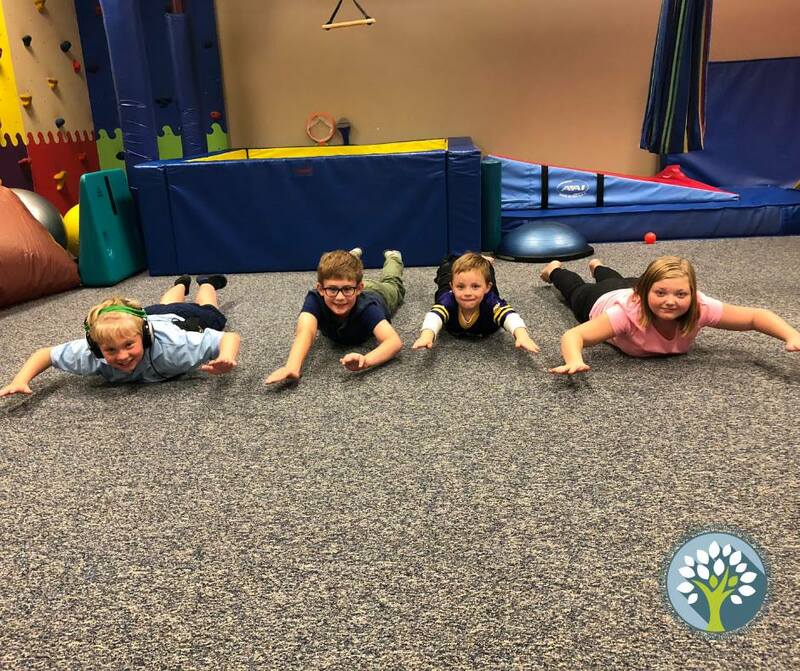 Family Achievement Center has received many overwhelmingly positive reviews across multiple verified sites with an average rating of 5.00 stars, earning them an impressive Rating Score™ of 94.00 and a 2019 Top Rated Local award for ranking as one of the top 10 physical therapists in Minnesota! “The staff at [Family Achievement Center] are hands down some of the best we’ve ever worked with in our medical journey! They are like family to us, and my daughter loves seeing her therapists. They make a point to understand her personality, quirks and all! They push her to grow, but in a gentle and loving manner that she responds to, and they celebrate all of her victories, no matter [whether they are] big or small. The progress we’ve seen in her development over the last year has been phenomenal and I know it’s because of the work she does here.” – K.O. It is because of excellent reviews like this that Family Achievement Center is now able to call themselves a Top Rated Local award winner! We were excited to learn all about how Family Achievement Center has been able to build such an impressive reputation, so we sat down with the Vice President of Clinical Operations, Sarah Yarrington. The first thing we wanted to know was what it is that makes Family Achievement Center stand apart from their local competitors. Sarah shared with us that they are a private-owned business, and are not a part of a larger hospital or organization. They also have the tools necessary to help clients with their individual needs. They are able to provide traditional and non-traditional therapy options for their clients. Family Achievement Center has managed to build such an impressive online reputation, so we were excited to ask about what kinds of marketing strategies they have used over the years. Sarah shared that they have utilized social media platforms like Facebook and Instagram. They also refer people to their website to watch the video they have there. Offline, Family Achievement Center is also active within the community, where they have partnered with Parks and Recreation, and the Miracle League sports team. Congratulations to Family Achievement Center for being a 2019 Top Rated Local award winner, and special thanks to Sarah for taking the time to speak with us! Top Rated Local® is pleased to announce that Ford Physical Therapy is a 2019 award winner for physical therapists in Mississippi! When it comes to physical therapy in Tupelo, Mississippi, no other clinic beats Ford Physical Therapy. Ford Physical Therapy has received dozens of reviews on multiple verified sites with an average rating of 5.00 stars, earning them a fantastic Rating Score™ of 94.00 and a 2019 Top Rated Local award for being ranked the number one physical therapist in all of Mississippi! “I came to physical therapy for pain in my lower back and hip. From just my first appointment and working with Aaron, my pain was significantly reduced. My range of motion is greatly improved, and I haven’t had any more problems with my hip. Aaron is polite, friendly and easy to work with. I’m so glad to have had the opportunity to work with him. Five stars [and I am] 100-percent satisfied! Thank you, Mr. Aaron!” – Karina B. In order to learn a little more about this award-winning business and its impressive online reputation, we took a few minutes to talk with Aaron Ford, the owner of Ford Physical Therapy. Outside of building a powerful online reputation, Ford Physical Therapy has spread the word about who they are and what they do through social media and in-person networking, but word-of-mouth referrals are their biggest driver of business, which speaks to that next-level experience they provide for their patients. 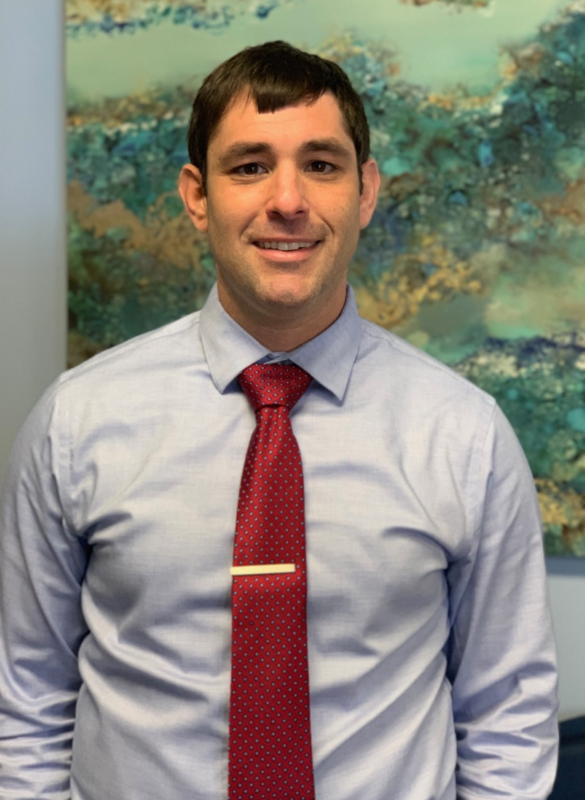 Congratulations to the team at Ford Physical Therapy for being a 2019 Top Rated Local award winner, and thank you so much, Aaron, for taking the time to speak with us! We highly recommend Ford Physical Therapy in Tupelo. Visit their website today! 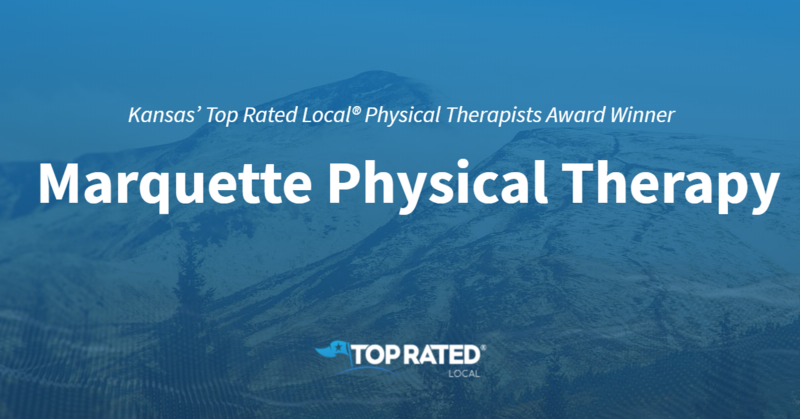 Top Rated Local® is pleased to announce that Marquette Physical Therapy is an award winner for physical therapists in 2019. If you are looking for a physical therapist that will help you to feel your best, look no further than this award-winning company! Marquette Physical Therapy has received many overwhelmingly positive reviews across three different verified sites with an average rating of 4.98 stars, earning them an impressive Rating Score™ of 96.78 and a 2019 Top Rated Local award for ranking as one of the top three physical therapists in Kansas! “The staff is warm, highly competent, and has been incredibly helpful in treating/relieving pain from some chronic conditions I’ve dealt with over the past couple of years. They are one of the few places I have found that specializes in the Graston Technique and dry needling. The dry needling has been awesome for getting rid of bothersome trigger points that develop from time to time. This is the practice I would recommend to anyone looking for a physical therapist!” – C.L. It is because of excellent reviews like this that Marquette Physical Therapy is now able to call themselves a Top Rated Local award winner! We were excited to learn all about how Marquette Physical Therapy has been able to build such an impressive reputation, so we sat down with the owner, Jay Marquette. The first thing we wanted to know was what it is that makes Marquette Physical Therapy stand apart from their local competitors. Jay was quick to exclaim that his staff is what makes all the difference. In addition to having a hard-working staff he is proud of, Jay described for us some of the other things that would draw someone to choose their business over another. At Marquette Physical Therapy, they are committed to providing individualized care for every patient, one-on-one in a private room. They also utilize special techniques, such as the Graston Technique and dry needle therapy. Marquette Physical Therapy has been in business since 2007 and boasts two successful locations. We were excited to learn more about some of the ways they have marketed their business over the years. Jay shared with us that they utilize the talents of a marketing person who is well-versed in social media. While having a strong social media presence has been incredibly beneficial to their business, referrals have still been a valuable asset for new clients. Offline, Marquette Physical Therapy also sponsors local high schools, community centers, and has participated in multiple community events. Congratulations to Marquette Physical Therapy for being a 2019 Top Rated Local award winner, and special thanks to Jay for taking the time to speak with us!